If It's Too Loud...: Julia Jacklin - "Coming of Age"
Regardless of how you decide summer ends, it is definitely coming to a close in the next week or so. Luckily for us, fall tends to mean better and more frequent music releases. 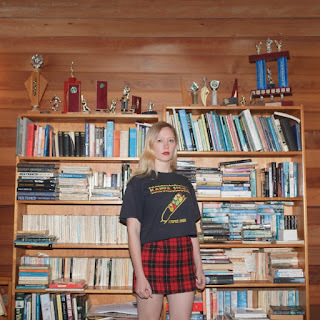 Right now, we have another song from Julia Jacklin's debut album. As with the previous two, I'm not lamenting the end of summer if it leads to us being closer to the release of Don't Let the Kids Win. "Coming of Age" is a little more alt rock than the previous songs, but it still squeezes just enough Americana (despite Jacklin being from Australia) to fit right in. It's a fairly straightforward bop along rock based pop song, with jangly guitars (and one that creates a feedback swirl throughout nearly the entire song). It's one of those perfect for summer songs even though the album comes out in the fall. Although, it's spring for Australia, so maybe that does make sense. Julia Jacklin's debut album, Don't Let the Kids Win, is due out October 7 on Polyvinyl. You can listen to "Coming of Age" below. For more information on Jacklin, check out her website, and look for her upcoming tour dates way at the bottom of this post.